I tried to get this posted yesterday, but Tom’s boss was coming to visit so I was a bit busy getting ready. Tom has an incredible metabolism. He is one of those guys who needs to eat 3000 calories a day just to maintain his body weight. If I don’t keep the house stocked with snacks and ready to go lunches he will grab fast food on his way to and from work. Which costs us soooooo much money over time! Since Tom works outside and is constantly on the go it’s important to be able to eat without a fork. Chicken drumsticks are one of our favorite lunches and ideal for his lunches. Wrapped in foil and pre-sauced, they are great hot or cold, the foil helps keep your hands clean, I can bake and freeze them in daily portions and use a variety of sauces for variety. Plus they are super easy to make. 1. Toss defrosted drumsticks into a large bowl. Sprinkle generously with salt and pepper. 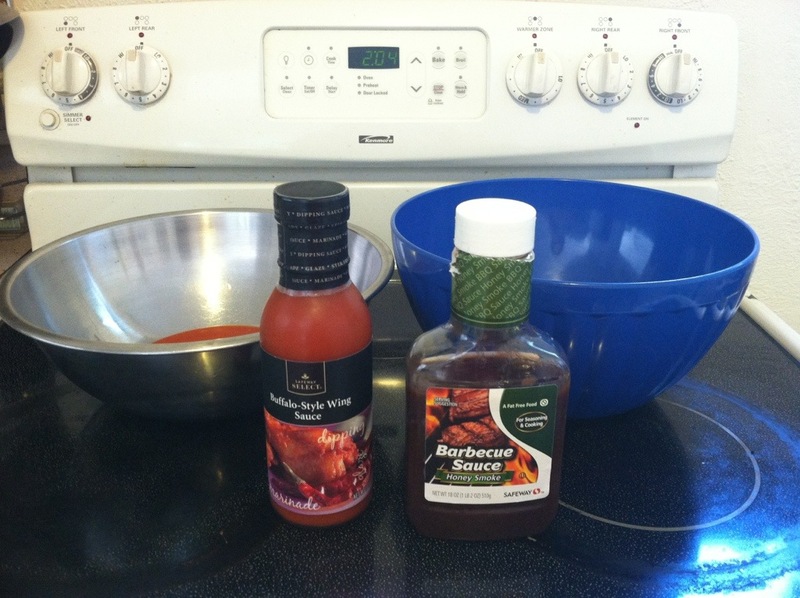 Toss then poor enough sauce over the drumsticks to coat, about 1-2 cups, depending on how many drumsticks your cooking. Toss again and let marinate in the fridge for at least 30 min, but longer is fine. 2. When ready to cook, preheat your oven to 350 degrees. 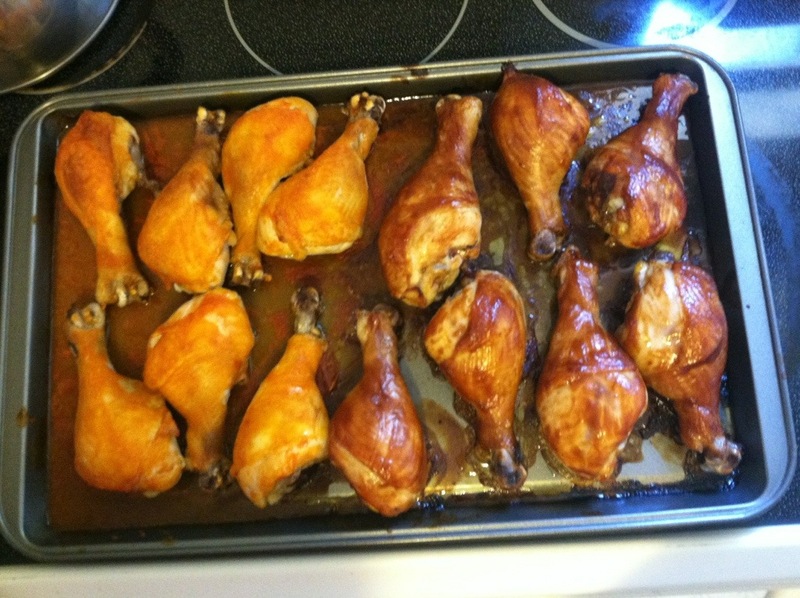 Arrange drumsticks on a large baking sheet and bake in the center of the oven, for 45 minutes. 3. 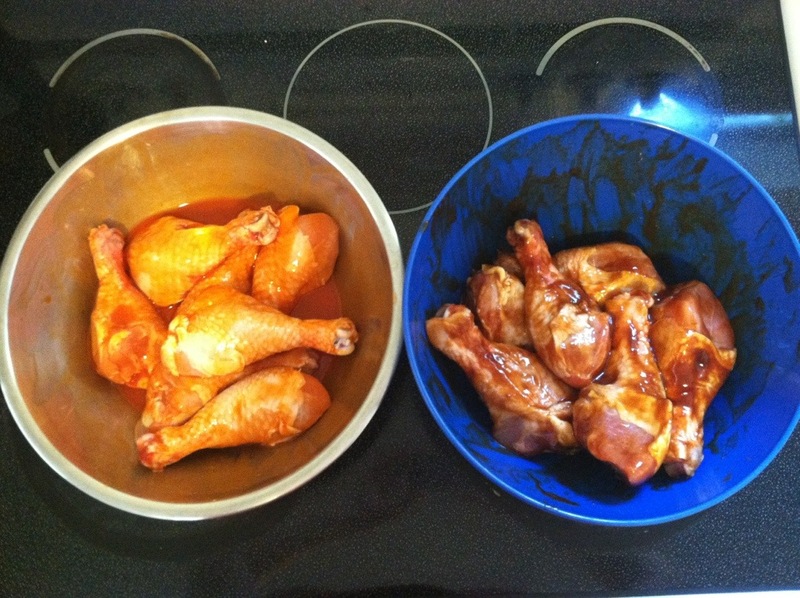 Remove the sheet from the oven and glaze each drumstick with the reserved marinade using a glazing brush. Return sheet to the oven and bake for an additional 10 minutes. 4. 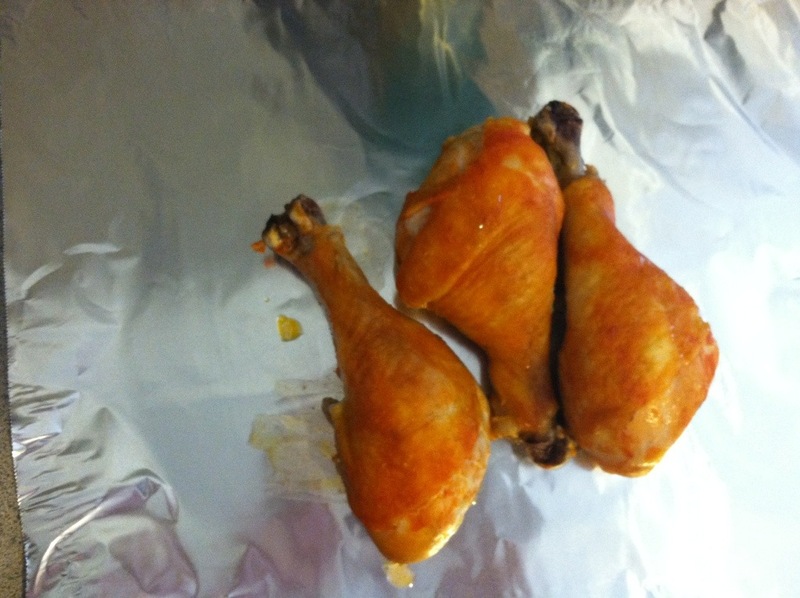 When done, remove baking sheet from oven and allow drumsticks to cool. Package individually or a few at a time with foil and freeze in a large freezer bag.